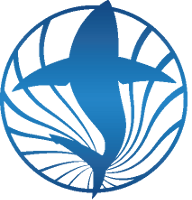 The Shark and Marine Research Institute is dedicated to protecting and conserving sharks, and other elasmobranchs, and safeguarding the health and vitality of our oceans. They are based in Gansbaai, South Africa, roughly two hours from Cape Town up the east coast. The bay they work in is an incredibly rich ecosystem that provides a vital habitat for an array of marine life, including great white sharks. The programme offers a unique opportunity to be involved with groundbreaking research studying great whites, as well as the smaller shark and other elasmobranch species along our coast, many of which are data deficient. The research is focused on gaining much-needed information about these amazing and enigmatic creatures who are so crucial to our oceans yet have reached such a critical mass. By joining the programme you will play a vital role in the field research, learning practical and theoretical skills including but not limited to great white shark observational data collection, great white shark dorsal fin analysis, ethical handling and angling of sharks, shark tagging and genetic sampling. You will also gain sea experience on a white shark cage diving tourist boat and will have opportunities to enter the cage yourself. You will see and learn about a wide array of other South African marine wildlife, and be involved in the exciting community and environmental outreach initiatives. With all sharks – including our magnificent great white sharks – declining in number, their mission is to explore, discover and monitor the elasmobranch species through various scientific research projects, and in turn, we hope to help protect the long-term future of these species by translating this knowledge into evidence-based conservation initiatives. Contact us to make a positive difference to the world’s oceans!